When I was in academia, someone hung one of Gary Larson’s The Far Side cartoons on my bulletin board. It showed a classroom of students and the instructor, with one student, hand-raised, asking, “Mr. Osborne, may I be excused? My brain is full.” That’s sort of what today’s blog post is about. Welcome back. Can you endure the findings of another study of brain decline with age? If you’re old or think you might get that way, it’s worth your time. And I’ll keep it short. In last Friday’s blog post (Brain Focusing with Sound), I went on about how distractions become more difficult to suppress as we age, though my focus was a training strategy that might help. Well, there’s a recent report on how visual learning is affected by aging. It’s not all bad news. On the bright side, older folks learn as well as younger adults. The problem is we learn too much. Investigators from Brown University, University of California, Riverside and Taiwan’s National Yang Ming University compared older against younger adults on visual perception learning--how performance on a visual task improves given experience with or training on the task. For nine days, 20 participants (10, age 67 to 79, and 10, age 19 to 30) viewed a quick sequence of four letters and two numbers shown in mixed order. The participants were instructed to report only the numbers they saw, yet each letter and number was shown against a background of dots, which moved with varying levels of directional uniformity. Testing before and after the 9-day training found that the older participants improved as much as the younger participants in their ability to identify the two numbers. But asked about the dots when they saw the numbers, the older participants had also learned to discern the prevailing direction of dot movement. For the younger participants, the direction was too weakly expressed to learn or clear enough to recognize and suppress. 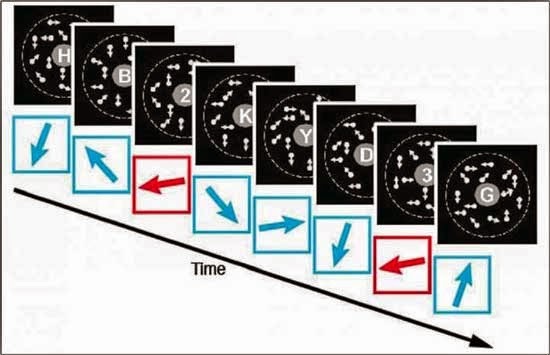 A separate test of processing speed and divided and selective attention confirmed that, unlike the younger participants, the older participants, in essence, just couldn’t help learning the irrelevant dot movement in addition to the relevant numbers. The investigators point out that our learning system needs to have (1) plasticity--the capability to learn new items and (2) stability--the capability to retain important items or prevent unimportant items from being learned. The study found there was no reduction in the plasticity of the visual system of older adults; however, there was a loss in stability. Presuming our brain capacity is limited, the learning decline with age appears to be due to our inability to suppress irrelevant information--we take in too much--rather than to our ability to learn. Which is to say that we keep learning, but our filters get clogged. Our brains get full, Mr. Osborne. Thought-provoking, no? Thanks for stopping by.